Neighbors placed a green tarp and cross over the remains of a woman killed by the flash floods. 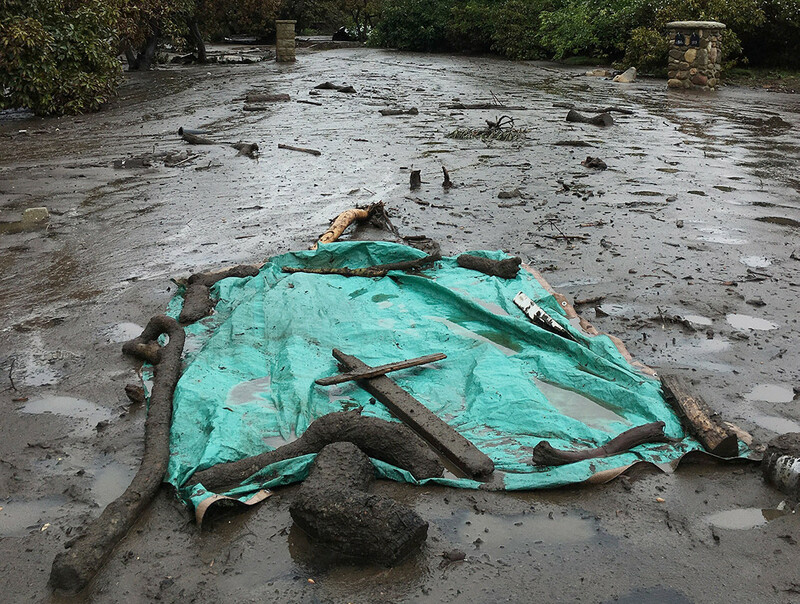 The Santa Barbara Coroner’s Office has released the names of 17 people killed in the Montecito mudslides. They range in age from 3 years old to 89 years old, and the cause of death for all will be officially listed as “Multiple traumatic injuries due to flash flood with mudslides due to recent wildfire”. As of Thursday morning, eight more people remain missing. Cottage Hospital has so far treated 27 patients admitted for storm-related injuries; 14 remain in care. Of the four patients who were classified as critical on Tuesday, two have improved to serious condition and the other two remain in critical condition.